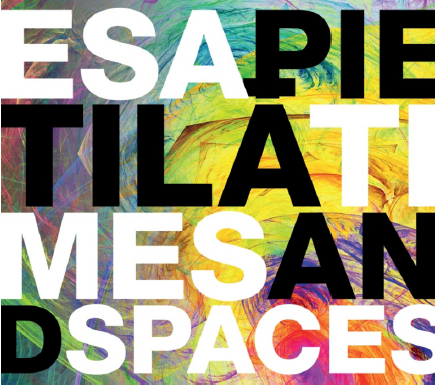 The solo saxophone double album Times & Spaces is a statement and exploration into the world of improvisation. The album consists of two discs, one with acoustic expression and the second one with live- electronics which connects tenor saxophone´s acoustic expression with possibilities of live-electronics. With live-electronics Pietilä creates diverse atmospheres and unique musical ambients e.g. with motion censors and other controllers to tweak the sonic atmosphere. Pietilä´s first solo saxophone album Karhea was released on march 26. 2009. Pietilä’s solo saxophone expression is heavily influenced by visual arts and poetry, which gives Esa the platforms to shape up the long structures and forms of his improvisations. With his inner dialogue musical thinking of improvisation, he combines his fantasy world together with the real world and expresses his textures and drama with urge to shape his free-form improvisational accordingly. His solo concerts deals with ambient colours of saxophone in different textures & atmospheres – from variety of minimalism whisper to full free blowing of no limits in expression – resulting a palette of shapes of multiphonics, chordal tones, rhythmic complexity & surprises, and fuga-like approach with freedom of saxophone voice bent to it´s limits. “About Karhea solo saxophone album…congrats, it´s FANTASTIC! “Pietilä’s uncompromising approach, search for new angles and refusal to walk the trodden path betray his lofty ambitions – a free improviser & a storyteller who expresses interesting fictionary sagas of imagination”.